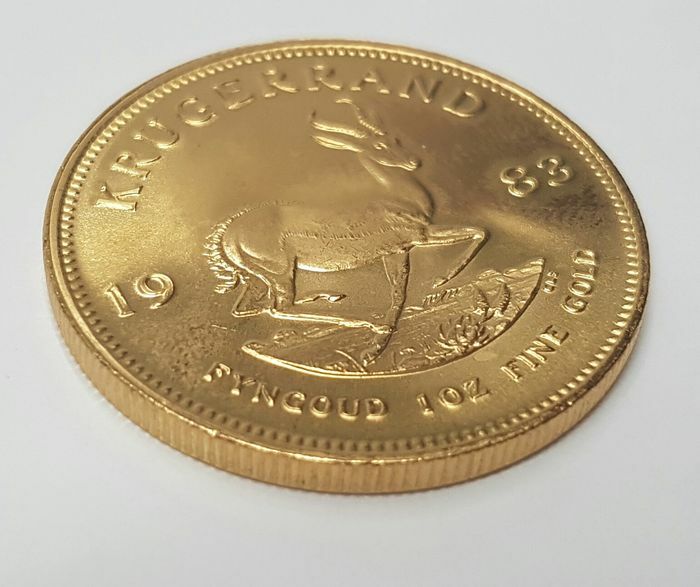 The South African golden Krugerrand is one of the most famous golden bullion coins. 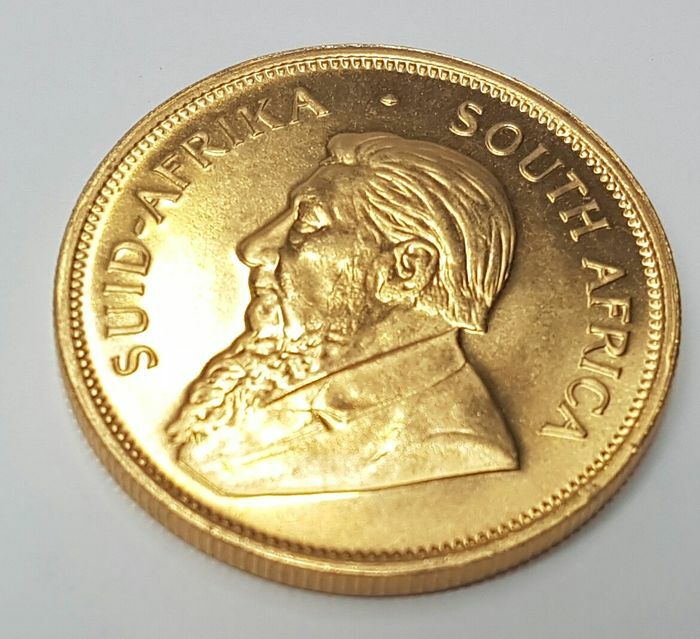 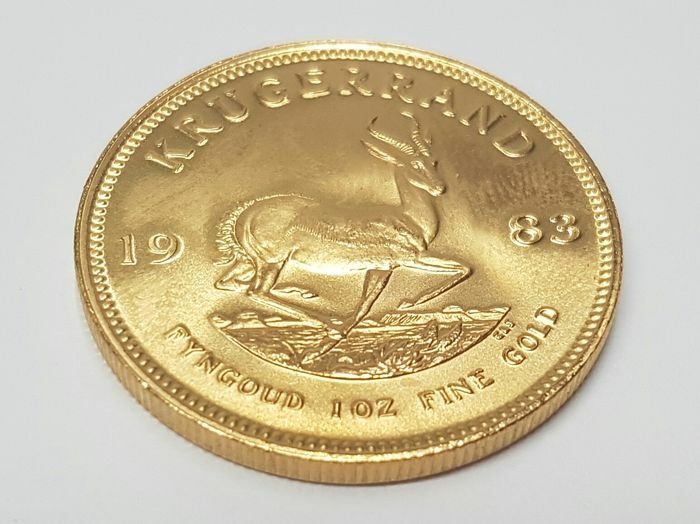 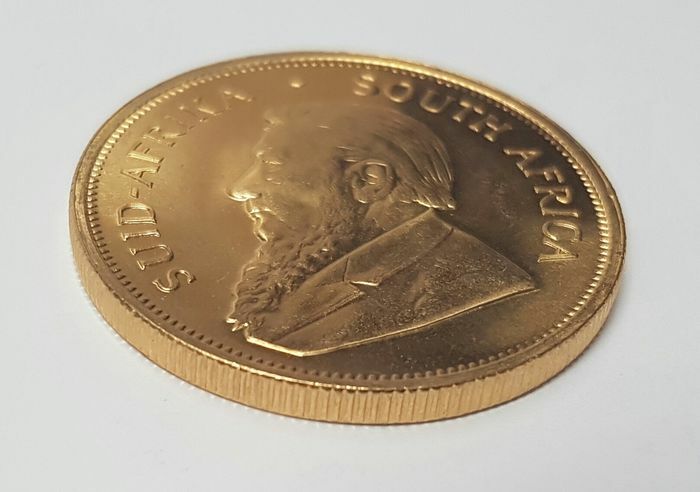 The Krugerrand has a purity of 91.67%, the gross weight is 33.93 grams and it was the first golden coin with a nett weight of 1 troy ounce pure gold in the world. 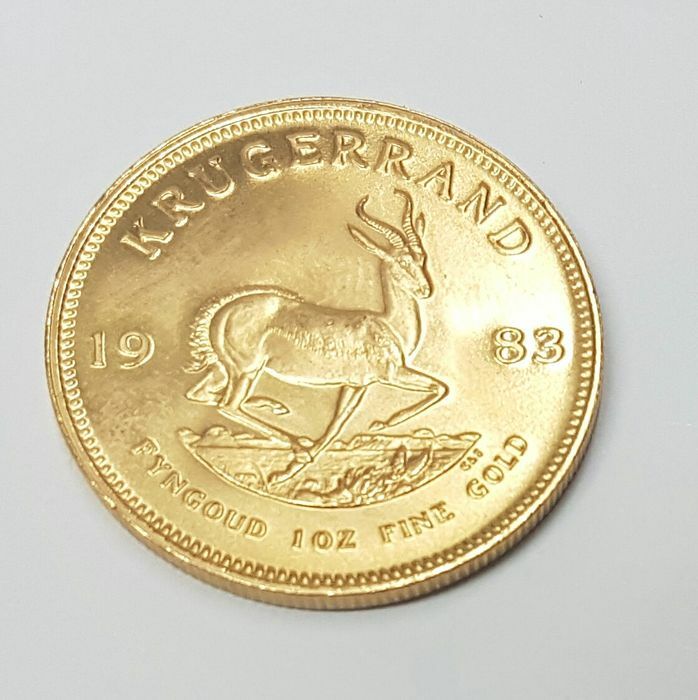 Please note: The year can be different from the one on the photo. 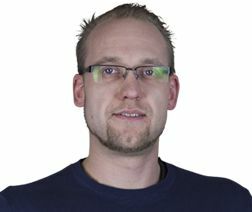 Możesz odebrać ten towar u sprzedawcy: Diepenbeek (Vlaanderen), Belgia.